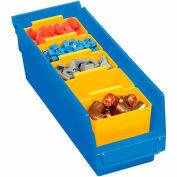 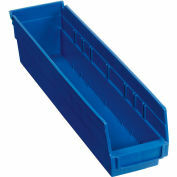 LEWISBins+ Shelf Bins are engineered to provide versatility for long-term cost savings. 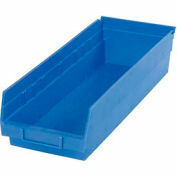 Increased material storage and capacity, raised hopper front and tall dividers allow up to 35% more material storage. 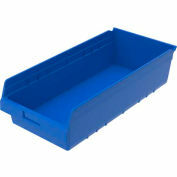 Rolled rim design and molded-in rib structure ensure bin integrity. Large undercut label slot for cardholders or adhesive labels. 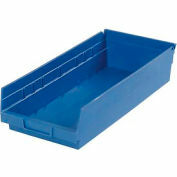 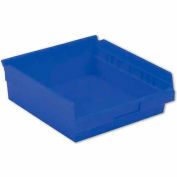 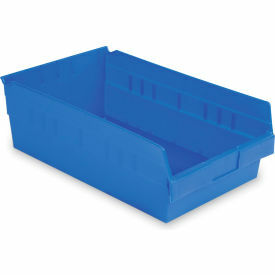 Full length dividers turns shelf bin into two or three smaller bins. 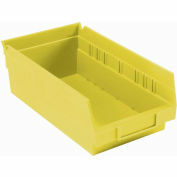 Shelf bin width dividers, in black and orange (kanban), increase inventory management. 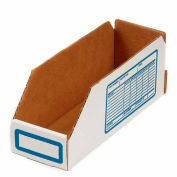 Kanban system drives efficiency through lean and just-in-time inventory principles. 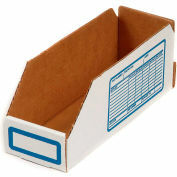 Stock shelf bin to desired level, using orange kanban width divider to designate reserve inventory. 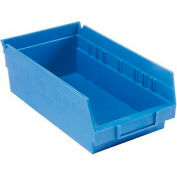 When the kanban divider is reached, reposition kanban divider to the front of the shelf bin to signal inventory needs replenishment.